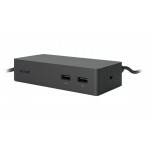 Instantly transform your Surface into a desktop PC. 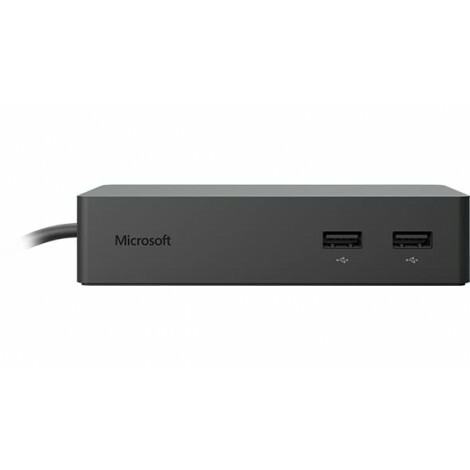 Plug in the Surface Connect cable to charge your device and access external monitors, keyboard, mouse, and more. 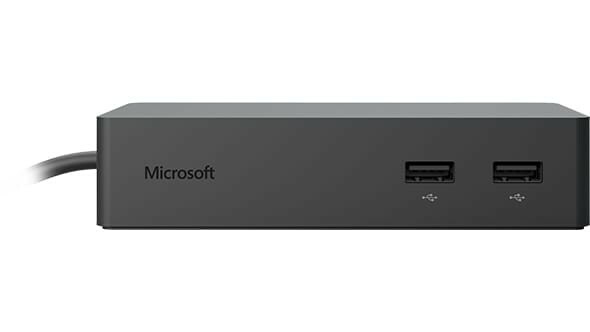 Find the perfect viewing angle, or position your device to take advantage of the robust pen capabilities. 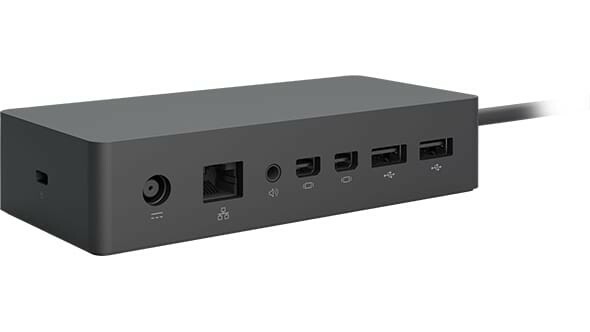 With two high-definition video ports, a Gigabit Ethernet port, four high-speed USB 3.0 ports, and an audio output, you’ve got all the connections you need in a sleek, compact design. 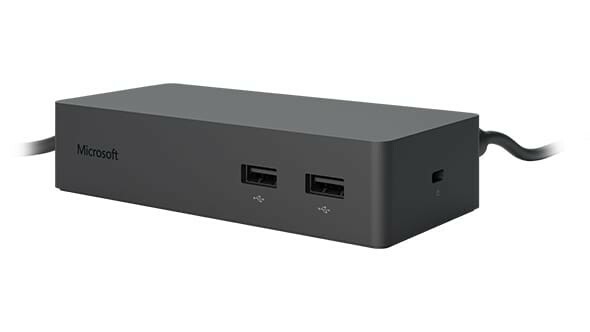 Surface Dock uses Surface Connect technology which enables high-speed transfer of video, audio, and data over a single cable, keeping your desk clutter-free. 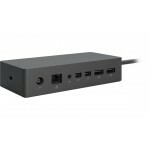 It also has a Gigabit Ethernet port giving you a fast, reliable connection to your network. 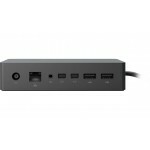 Surface Dock is quick and easy to set up. 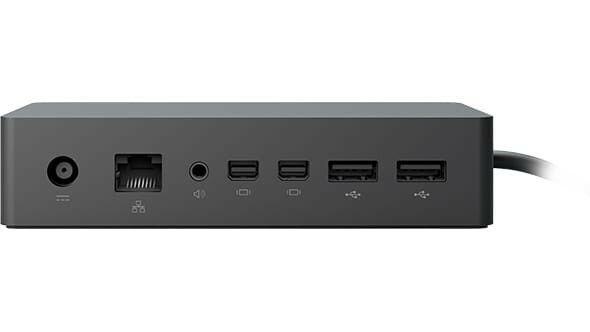 Connect your peripherals to Surface Dock and then attach the magnetic Surface Connect cable to your device. It’s that easy.